Canson Acrylic Sketch Pad let? ?s you conveniently paint anywhere! Great for travelling artists who cannot afford to carry large canvases and boards. Made from 245gsm paper textured to imitate a canvas weave, it is suitable for sketching ideas or for finished artworks. 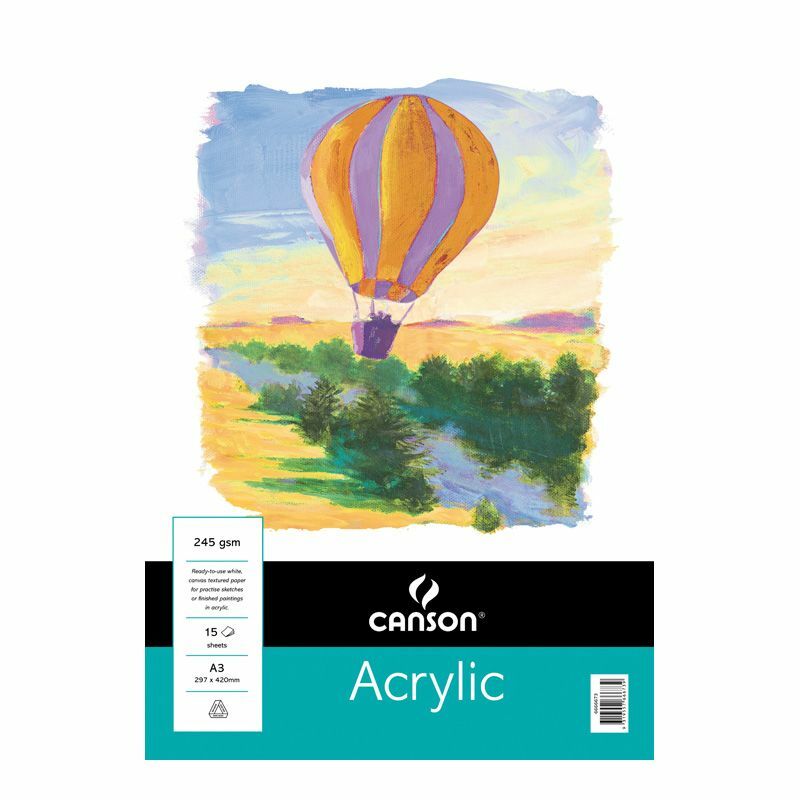 Canson Acrylic Sketch Pads are made for painting in acrylic but can also be used for gouache, and drawings in pencil, ink and pastels. Available in 3 sizes: A4, A3 and A2.